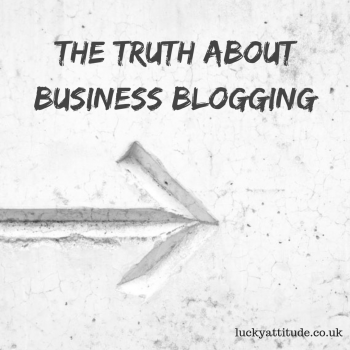 With so much contradictory opinion being thrown around about business blogging, I’m not surprised you’re confused about how can a blog benefit your business. Should you or should you not start a blog to support your business? You may think you’re in the business of selling your products and services and not in the business of blogging, so why would you need to invest in it? Or you may know you need to be blogging for your small business, but you have no idea where to start. A blog is a web interface between you and the people. A blog is a place, where people can window shop to find out more about you and your products. Raise your hand if you want more website visitors. More qualified website traffic is good for any kind of business. More people on your site can only mean more potential for bookings, more submissions to your contact form, and more potential client inquiries. If you have a website with a couple of static pages that you rarely update, how will potential buyers find out about you? Blogging is a great vehicle for frequent search traffic. It gives Google and other search engines new content to discover and index and creates an opportunity for your business to be found on SERPs (search engine results pages). Neil Sheth at Build Your Brand is excellent at helping you to attract new customers with a blog. He can help you to figure out why your current inbound marketing doesn’t convert and help you to understand how to market your business properly. I know that “establishing an authority” is a fluffy metric. How on earth can you measure an authority? It’s pretty powerful stuff, actually. When you share your expertise and give away industry insights for free, you’ll be seen as not only knowledgeable but also transparent and honest. People are drawn to transparency and honesty. We buy from people we trust. By publishing helpful and original content for others to consume, you’ll be the first person/business your target customer thinks of when they are looking for the best personal trainer, marketing consultant, florist or a widget maker. Blogging sharpens your business acumen. To create a blogging strategy you must define who you are blogging for and why. A blog gives you an insight into your audience – what they like and what they don’t like, which could also help you to change your business direction. How to create a blogging strategy for your business? Before you decide to start blogging, you must determine how will you get your readers to take action when reading your blog? Will you have an email opt-in, a link to a sales page or a call to action to fill out a request for a quote? If your business is connected to Google Analytics, you already have a lot of customer data available. You can see your customers gender and age breakdown, interests and queries they type into Google to find your business and much more. This is definitely a good starting point, but there are better tools that will help you to understand your audience more granularly. SEMRush and Ahrefs are two great paid-for tools I use for understanding the questions and pain points that my target audience have regarding my industry. This insight allows me to tackle my blogging strategically and create educational content that will actually clear things up for my confused customer. More traffic doesn’t necessarily mean more sales. In order for the traffic to convert it has to be pre-qualified, which you can do with targeting specific questions or queries your audience has. By utilizing different tools, you can be sure that your content speaks to your target audience’s pain points and is not aimed at just anyone. You can also spy on your competition using SEMRush and Ahrefs. In-depth keyword research will also uncover content gap opportunities – these are topics that your customers want to know but your competitors haven’t covered. Buzzsumo is another great tool for checking the best performing content by any industry or domain. Whether your tone is casual and conversational or formal and academic will depend on your industry and customers. Once you understand different use cases of your product, consumer-specific pain points, competition, you are ready to map out the content for the next 6-12 months. There is a lot of misinformation about how often you should publish content online. Many people wrongly assume that the more you publish the more visible you become on search. 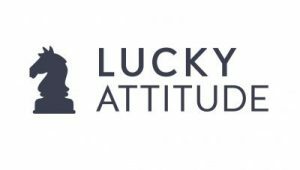 That may only be the case if you have unlimited money and you can ensure that all your 12 articles a month are highly targeted for SEO keywords, contain more than 1000+ words and are 10 X better than your competitors’. If you can’t guarantee this, I would strongly recommend to choose quality over quantity and publish less but better articles. It’s okay to publish 1-2 times a month as long as your blog posts answer common questions that your leads have comprehensively. Long-form evergreen articles (1000+ words) rank better than short articles. The average Google first page result contains 1,890 words. It makes sense if you think about it – why would Google reward you for your bland and generic 400 words articles? The blogosphere is filled with lazy and ineffective content. You can do better by focusing on deep, thorough, evergreen content that can compound over time. Waiting for blog readers to find you is a waste of time. Having a plan and writing for people who are ready to buy is by far the best strategy for success. Now you can hopefully understand the incredible impact a blog can have on the growth of your business. If you think it’d be overwhelming for you to write blog posts on a regular basis, you can always hire an agency or a freelancer to take care of it. But don’t just outsource everything to a third party. You have to be involved in your content strategy because nobody knows your business and your customers better than you.